My Live Chat is a customer service and sales tool for your website that enables visitors to instantaneously communicate with your personnel. Visitors to your web site simply click a Live Help button and are connected with one of your representatives. Your representative then assists the visitor by providing information, links, graphics, or even guiding them through your web site. The My Live Chat solution is provided on an Application Service Provider (ASP) basis. This means there is no hardware to install and you can get started instantly. Create your account with us. 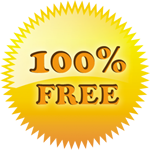 There is a free service, so you can test our service without any obligation. Risk-free. No credit card required. Login into your control panel. Copy and paste live chat button HTML code into your website. You are ready to chat with your visitors. Start chatting with your Visitors using our free Chat Operator software.